Summary: May 19 afternoon, Yankuang Group leaders visited China Transport Group to visit the mining equipment and strengthen the cooperation of e-commerce and other related matters, China Transport Group Deputy General Manager Han Yong, Li Zhenbo, General manager Yan Ting, Deputy General Manager Lu Shuli and other leaders to accompany reception. 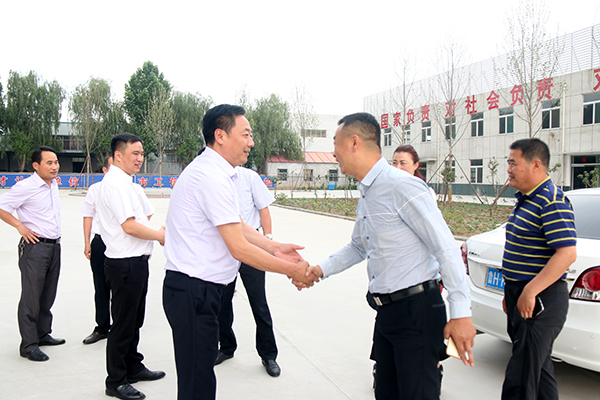 May 19 afternoon, Yankuang Group leaders visited China Transport Group to visit the mining equipment and strengthen the cooperation of e-commerce and other related matters, China Transport Group Deputy General Manager Han Yong, Li Zhenbo, General manager Yan Ting, Deputy General Manager Lu Shuli and other leaders to accompany reception. Yankuang Group leaders under the leadership of Deputy General manager Han, Li, visited China Transport Group e-commerce companies, cross-border e-commerce companies, China Transportation Group e-commerce company, network information company, software technology company and Group intelligent equipment manufacturing workshop. During the visit, Mr. Li introduced the advanced experience and outstanding achievements of China Transport Group in e-commerce, cross-border e-commerce and intelligent equipment manufacturing. He was fully affirmed and received by Yankuang leaders. At the symposium, General manager Li also introduced the the extraordinary achievements detailedly made in the field of industrial and mining industry in recent years. He said that all kinds of industrial and mining products sold by China Transport Group are technically advanced and reliable, and there are more than 50 kinds of mining products obtained safety certification, 37 mining equipment obtained national utility model patent certificate, establish an excellent reputation in industrial and mining industry at home and abroad, is the leading brand of industrial and mining industry! Yankuang leaders spoke highly of our Group's strong manufacturing strength and advanced e-commerce marketing model. 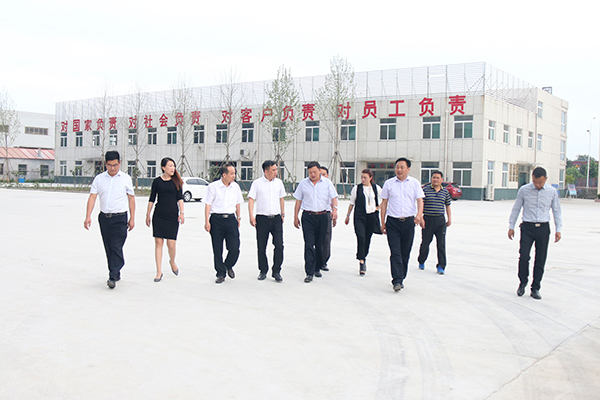 Leadership said that through the on-site visit, we get comprehensive understanding of manufacturing capacity, product technology research and development, e-commerce sales model and other aspects of China Transport Group, and also witness strong manufacturing strength and cooperation sincerity, and strengthen confidence of our long-term cooperation with China Transport Group. Deputy General Manager Han said that in recent years, China Transport Group with first-class product quality and perfect after-sales service, reached a long-term strategic cooperation with Shenhua Group, China Transport Energy, China Gold Group, Shanxi Coal Group and other large mining groups, equipment sold to 148 countries and regions around the world, built China Transport brand! As a cross-industry, diversified large-scale enterprise, in the future, China Transport Group will provide our clients with more high-quality products, more intimate service ! Warmly welcome global businessmen to visit and cooperate with us, and seek common development!